If information reaching us is anything to go by, then there is fire on the mountain for popular actress, Ini Edo and nobody seems to be on the run, as Asa would say. According to a fresh gist getting to us, Ini Edo is not a happy woman at the moment. The reason is that if urgent steps are not taken, her marriage might crumble and she would join the league of Nollywood actress with failed marriages. Grapevines alleged that pressure is being mounted on her handsome husband, Philip Ehigwina, by his family members to dump the charming actress. According to what tale-bearers told Nigeriafilms.com, Ini Edo's in-laws are not happy that the glamorous actress hasn't given them a child after about four years of marriage. According to NEMA (National Emergency Management Agency) spokesperson, this plane which was spotted on the streets of Lagos last night/early this morning is the scrap of an aircraft that was evacuated from the airport last night after the federal government issued a directive that all scrap aircraft be evacuated from all airports. The aircraft was spotted being towed along Mangoro and later seen at a gas station. The actress recently took a stab at celebrity blogger, Linda Ikeji on Twitter when she retweeted a tweet posted by fan. The infamous tweet states that the blogger should go and get married. Owner of a popular buka in Port Harcourt who confessed last Saturday to using diabolical means to entice customers, as well as take their “destinies.” Sounds like the story line of a Nigerian movie, but people, this happened for real. According to eye witnesses, the Lady above, who is from Akwa Ibom, suddenly ran mad while at her buka located at Aleto in Eleme Local Government area of Port-Harcourt, Rivers state. We have gathered from reports that popular Yoruba comic actor, James Olanrewaju Omiyinka better known as Baba Ijesha will hold his white wedding in July. The actor held his traditional marriage in 2012 with his Samsung big girl wife. The white wedding will hold at the Eko FM Multi-Purpose Hall, located inside the premises of LTV 8 in Ikeja, Lagos. The marriage ceremony will take place on Saturday, July 6, 2013. As we were informed, the couple has been making plans to make the event very big and glamorous. A Minneapolis father returned home early and caught 41-year-old Tajreed Rich naked with his 17-year-old daughter, UK’s Daily Mail reports. The father, who is not being identified, told police he returned home early and heard strange noises coming from his daughter’s bedroom. When he entered the bedroom he found Rich standing naked over his daughter who was also naked on her bed. Rich was later arrested after the girl’s family reported him to police. The father told police he recognized Rich who works as a hall monitor at Robinsdale Cooper high school in Minneapolis. National Mirror was one of the last media houses to interview the legendary trado-modern music maker and instrumentalist Fatai Rolling Dollar on Thursday, June 6 while he was hospitalised in Lagos. Our award-winning photographer, Bayoor Ewuoso, was also there to capture images of the ailing octogenarian musician on his hospital bed. He spoke extensively about his health and optimism about overcoming the malaise. Unfortunately, it was not to be as he died in the morning of Wednesday, June 12 at the age of 86. History will remember him for his great contributions to music and for inspiring a generation of traditional Nigeria music artistes. Beautiful, classy and determined are just some few words to describe Nollywood Star, Stephanie Linus.With over 90 movies to her credit, she has climbed up her career ladder earning a good reputation and several awards to her credit. Stephanie was born in Benin City, Nigeria and is the sixth child of eight children. She studied at the University of Calabar, where she graduated with a degree in English and Literary Studies. In 2002, she participated in the Most Beautiful Girl in Nigeria beauty pageant and was a runner up in the competition. The graduate of the New York Film Academy is also a movie director and producer and is set to break new grounds in the movie industry. Her wedding was arguably the celebrity wedding of 2012. Set in a picturesque castle in France, Stephanie and her husband, Linus Idahosa exchanged their wedding vows on April 21st 2012. Still basking in the euphoria of her wedding anniversary, Stephanie was bubbly and when we had a chat at her home in Lagos. She had a special glow in her eyes whenever she talked about her husband, like a teenager in love. You seem to have been maintaining a low profile lately. We haven’t seen you feature in as many movies as we used to. What have you been up to? I’ve been busy preparing the ground work for my upcoming film, DRY. I’ve finished the first phase of the project and I’m working towards the next phase. It’s a lot of work and it takes a lot of my time and energy. I understand you are producing, directing and acting in this movie. Isn’t that too much of a task? It wasn’t intentional. This particular project is something that is so dear to my heart. I’ve been working on it since I was in the University when I heard about Vaginal Fistula and early marriage and what women go through. I’ve done a lot of advocacy programs concerning this particular issue. It’s not like I planned it, I wrote the story and raised the funds for it so that means I became the producer. Then I acted and directed also. It just happened. The increasing dominance of the Internet over mass media has caused wholesale changes in the way publishers select magazine content, including who graces the coveted covers. Gone are the days when magazine editors solicited Hollywood starlets for glamorous covers to help sell their magazines. Nowadays the biggest-selling magazine covers are more likely to be reality TV stars or burlesque singers, such as Beyonce. 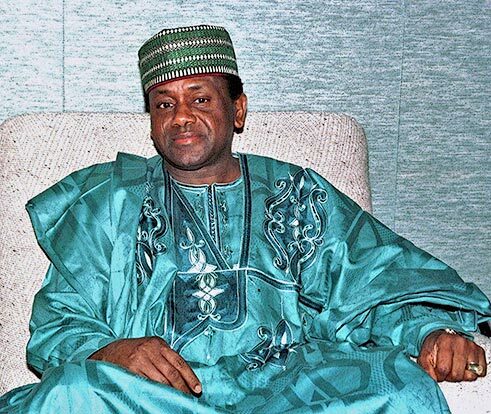 Daughter of the late military dictator, Gen. Sani Abacha, Gumsu, says she is still mourning the death of her father, 15 years after his demise. Abacha became the 10th military Head of State of Nigeria on November 17, 1993 but died in office on June 8, 1998. “May Allah grant my father Aljanna Firdaus. I miss you so much. Fifteen years already. Allah ya jikan ka da rhama ‘Baba,’” she stated in a tweet. A few hours Gumsu posted the tweet, former Minister of Aviation, Femi Fani-Kayode, replied her, saying, “Ameen.” However, Fani-Kayode’s move to share in her grief on the 15th anniversary of the death of Abacha made a handful of his followers on Twitter to raise an eyebrow. But Fani-Kayode’s followers on the social service wondered if he was one of the Nigerians who subtly benefited from the Abacha regime. “Fani-Kayode, sir, were you pro-Abacha?” one of his followers, Dolapo Bello, queried in a tweet. But realising what damage that could do to his reputation online, Fani-Kayode responded swiftly by dissociating himself from the Abacha regime. But as the day broke on Saturday, the Nigerian Twitter space was soon turned into a podium for debate with some arguing that Abacha was a hero, while others vehemently disagreed on the social network. Popular Nollywood star, Stephanie Okereke Linus recently disclosed that she’s definitely not under any kind of pressure to get pregnant. 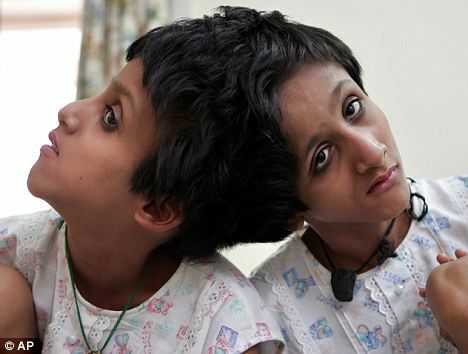 An Indian father whose 15-year-old conjoined twin daughters are living in increasing agony has pleaded for help – or for them to be allowed to die. Saba and Farah Shakeel are joined at the skull and have been suffering terrible headaches, joint pain and slurred speech as they grow older. The girls have received specialist help in the past, thanks to the intervention of the Crown Prince of Abu Dhabi, but their father, Mohammed, who works on a tea stall in Patna, cannot afford any more treatment. His wage of just £65 a month is used up supporting his family of eight. Mr Shakeel describes his daughters' condition as so miserable that the Indian government should allow doctors to carry out a mercy killing. Five years ago Sheikh Mohammed bin Zayed paid for the girls to visit some of the foremost conjoined twin specialists, including American Benjamin Carson, to investigate ways of separating them. The NSA whistle-blower behind one of the most explosive government leaks in US history has revealed he does not 'expect to see home again' as he faces the rest of his life on the run. 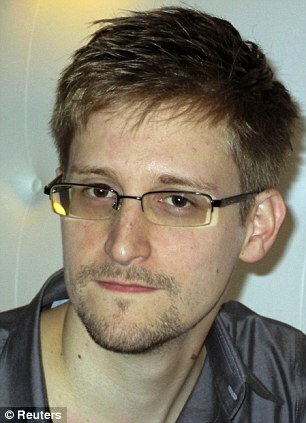 Edward Snowden spoke out as American officials desperately try to extradite him from his Hong Kong bolt hole so he can face trial for leaking details of a top-secret programme to harvest the personal information of millions of web users by one of the world's most notorious spy organisations. Mr Snowden spoke to The Guardian and Washington Post newspapers from a hotel room in Hong Kong where he is on the run for an expose seen by many as being on a par with Wiki-Leaks whistle-blower Bradley Manning. His flight to Hong Kong has sparked a political and diplomatic firestorm between America and China who have become locked in a custody battle for the 29-year-old former CIA technical assistant. They’re sisters, they’re all 4 years aged – but, remarkably, these 3 small girls are not triplets. The eldest, Cara, was usually 9 months aged when she became a large sister to twins Laura and Jenna. Her mother, Tessa Singh, 40, had turn profound again within 12 weeks of her birth, and a twins were innate betimes during 28 weeks. The Federal Road Safety Corp (FRSC) has stated that the Benin-Ore road, Abuja-Lokoja road and the Lagos-Ibadan expressway are the worst accident prone roads and warned the public concerning these roads. The Assistant Corp Marshal of the FRSC, Dennis Terrang, stated this recently at a Road Safety Regulatory Risk Management workshop in Abuja in collaboration with Shell Petroleum Development Corporation (SPDC). He stated that the commission intended to reduce road accident by 20 per cent in 2013 and the number of people dying from fatalities to 30 per cent. Terrang said the World Bank recently donated 12 ambulances to the commission, which he said worked as mini hospitals on the roads. He said “we are partnering with so many people to provide road side clinics that are usually equipped with paramedics and other equipment. A housewife, Mrs Suzanna Fawole (38), has been remanded in Ife prisons in Osun State after she was arraigned in Magistrates’ court, Modakeke on Monday, June 3. Fawole was accused of bathing one Funmilayo Aderibigbe (35), whom she suspected to ber husband’s lover, with a liquid substance suspected to be acid, thereby causing her grievous bodily harm. The acting Chief Magistrate, Mr O.A. Ayilara ordered that the accused be remanded in Ife prison custody while the case was adjourned till July 1 for further hearing. May 6, was like any other day for Aderibigbe who resides on Adeboye Street, Ife-Modakeke road. Set for the day ahead, she went ahead to prepare herself for the activities she had lined up for herself, oblivious of what was in stock for her. Before the end of the day, however, her once-beautiful physique which made her the toast of all, suddenly crumpled under the subduing power of acid. She was almost turned into a monster such as ones usually seen in horror movies after she was allegedly bathed with acid by Fawole. Ojopagogo (Olayiwola Rasaq) and his wife, Moji Afolayan had a baby boy as an addition to their family last month. The actress/singer, Tonto Dikeh fell during an appearnce on stage at Iyanya’s kukere concert in London which she co-hosted alongside comedian Eddie Kadi. Rumours have it that she was drunk and not fully in control of her senses. The actress must have had too much to drink from her birthday last night that she didn't do much on stage as she kept screaming and staggering , telling the crowd how big she is the whole time she was meant to perform. 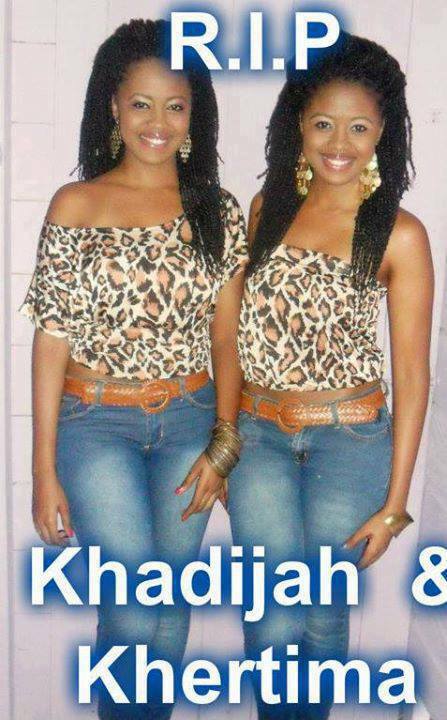 Twin sisters Khadijah and Khertima Taylor, 18, & Kafiya Gill died in a car crash in San Fernando on Sunday morning on their way home from a nightclub. Police said the driver, Anthony Balkissoon, was driving his white Mazda 3 car along the San Fernando bypass road when he lost control at around 4a.m. The car flipped several times and landed between the pillars of a concrete bridge near the Cross Crossing interchange. The glamorous young Olympic gymnast at the centre of speculation over Vladimir Putin’s marriage breakdown has spoken of her longing to marry and have children. Alina Kabayeva, 30, who was first named as the Russian president’s mistress five years ago, revealed she has indeed met a man ‘whom I love very much’. ‘Sometimes you feel yourself so happy that you even feel scared that you are so happy,’ she said. Miss Kabayeva, a gold medal-winning rhythmic gymnast who is now an MP in Mr Putin’s United Russia party, had denied a relationship. Yet the speculation in Moscow has continued unabated, with claims Mr Putin, 60, and Miss Kabayeva already have a secret family of one, two or even three children. The rumours coincided with the almost total eclipse of Mr Putin’s wife, Lyudmila, 55. Some reports have even suggested she now lives as a recluse in a monastery. LAGOS - Governor Babatunde Fashola of Lagos State, yesterday, expressed concern over the non-utilisation of N1.5 billion in the state's 2013 budget earmarked for the funding of research in tertiary institutions. He called on the academics to access the research fund for the purpose of development, saying his administration had spent N237,619 million on bursaries and scholarships. The governor spoke on the occasion of his 2,200 days in office and account of stewardship, held at Lagos State University, LASU, with students, lecturers and stakeholders. Fashola said: "I am re-assuring Lagosians that your government remains focused on service delivery and our commitment to you in the remaining two years will not be different from our commitment on the first day. "The decision to move this edition of our 100-day accounting period to LASU and dedicate it to communicating with higher education institutions and the undergraduates in training is deliberate. "We are also operating an After-School Graduate Development Programme, where we are investing graduates with new skills to help them adapt to the needs of our economy and find well-paid jobs or start their own business. Authorities intercepted two speedboats and recovered cocaine worth almost $1 billion. 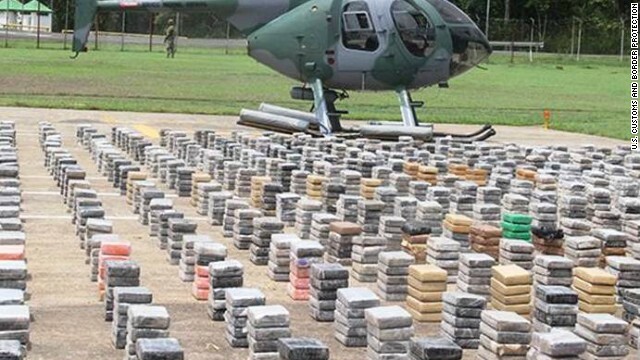 Authorities intercepted two speedboats -- sinking one -- and recovered about 13,000 pounds of cocaine worth almost $1 billion. "These two disruptions are an example of the international cooperative law enforcement effort to disrupt transnational criminal activity and deny their profiting from such activity," Doug Garner, U.S. Customs and Border Protection's director of national air security operations in Jacksonville, Florida, said in a news release. Peoples Democratic Party governors who voted for the re-election of Rivers State Governor Rotimi Amaechi in the last Nigeria Governors' Forum election may be considering floating a new party, to emerge as a Third Force to the ruling PDP and opposition coalition party, All Progressives Congress. The group, comprising seven governors, has already commenced talks with the three governors of the All Nigeria Peoples Party with a view to aligning to form the new party, THISDAY has learnt. Amaechi and Sokoto State Governor Aliyu Wammako have been suspended by PDP for reasons not unconnected with the NGF election and their position on it. Besides Amaechi and Wammako, others said to be involved in the proposed new party are Governors Sule Lamido of Jigawa State, Murtala Nyako of Adamawa State, Rabiu Kwankwaso of Kano State, Babangida Aliyu of Niger State and Usman Dakingari of Kebbi State. Confusion As Bride Shuns Wedding Ceremony in Lagos. It was confusion yesterday at the Cathedral Church of Emmanuel, Okesa, Ado Ekiti as a bride refused to turn-up for her wedding ceremony. The groom, his friends and relatives waited in vain for the arrival of the bride until they found out that she was not coming. The infuriated groom and his friends were said to have visited their anger on the lady’s residence in the capital city. Sources said indications that something was wrong first emerged when the Cathedral Administrator, who had gone out earlier in the morning got back to his residence at the time the wedding was to take place, changed his clothes and went out again. “Then we knew that something was wrong and people had been coming here since around noon and we have been telling them that the wedding has been postponed,” the source said. Another source said the lady, an indigene of Ado Ekiti, had already been living with a man, who she had been saying was her relation. Unconfirmed sources also said the matter was taken to the palace of the Ado Ekiti monarch, Oba Adeyemo Adejugbe, for intervention. 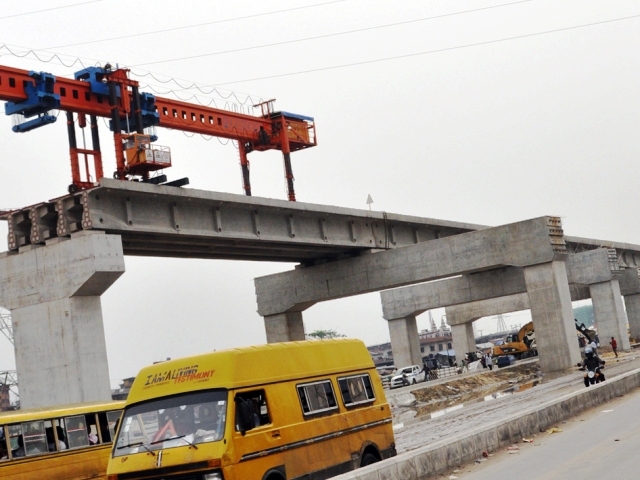 The Executive Director (finance and administration) of the Infrastructure Bank, Taiwo Dauda, has said that the Lagos Rail Red Line will be completed in two years. He announced this during a train ride from the Ebute-Metta junction of the Nigerian Railway Corporation (NRC) in Lagos to the Agbado Station in Ogun. The train ride was to showcase Nigeria’s infrastructure to participants at the just-concluded 3rd Economic Community of West African States (ECOWAS) Investment Forum, which had 15 participants from Europe, the U.S., Germany, Brazil and Nigeria. Nigerian boxer, Bashiru Lawrence Ali, popularly known as Bash Ali, caused a stir on Thursday in Abuja as he accosted President Goodluck Jonathan and the Minister of Sports, Bolaji Abdullahi, in a bid to challenge for the world cruiser-weight title in Nigeria. Ali, 57, is seeking to become the oldest man to hold a world boxing title defence. He had earlier taken his campaign to have his defence staged in Nigeria to the ruling Peoples Democratic Party (PDP) headquarters in Abuja on May 20, but said he was not allowed in. On Thursday, he jostled to get an audience with President Jonathan, who was at the Abuja National Stadium to inaugurate ‘Rhythm ‘N’ Play, a campaign to get all Nigerian youths engaged in sporting activities. Ali scuffled with the president’s aides, which duly got the attention of Jonathan. After having been allowed to approach the president, and after stating his mission, Jonathan directed that the boxer see the Minister of Sports for further discussion on the matter. When Selecting Employees For Jobs Of Any Type." At the Vancouver Insite injection centre in Canada, clean needles and condoms are available to users who bring their own drugs to inject in a supervised room. They can relax afterwards in the lounge as needed, and staff are available to help them with other needs, like housing applications. Modelled on similar clinics that first opened in Switzerland in the 1980s and then spread to other European countries and Australia, Insite remains North America’s only safe-injection site. Like its counterparts, this brand of harm reduction has proven to be a tremendous success here in Vancouver. Before Insite, the Downtown Eastside saw overdose deaths and infectious diseases reach calamitous heights. Overdose deaths in Vancouver spiked to a high of 201 in 1993 and, according to a United Nations report, the Downtown Eastside has an HIV rate of 30 per cent, while Canada as a whole has a rate of only 0.2 per cent. A mass mobilization led by drug users and the creation of illegal injection sites in the neighbourhood finally helped secure the political will needed to create Insite, which has witnessed hundreds of overdoses, but as yet no deaths. And since it opened, overdose deaths across the city have declined—reaching a low of 34 in 2008. The health crisis has also subsided. There were just 30 new HIV cases in the Downtown Eastside in 2006, compared to 2,100 a decade before. According to a 2008 Canadian Medical Association Journal study, Insite could prevent 1,517 HIV infections in 10 years, saving the Canadian health system $14 million in costly treatments. Prophet Uebert Angel Mudzanire who once grabbed headlines when he claimed to be Zimbabwe's most educated pastor, was left with more questions than answers after it emerged that the flamboyant man of God's name appeared on the list of people who purchased fake degrees from a bogus United States university. According to the US government, Dixie Ellen Randock, Steven Karl Randock, their daughter Heidi Kae Lorhan, Roberta Lynn Markishtum, Kenneth Wade Pearson, Richard John Novak, Blake Alan Carlson, and Amy Leann Hensley - all from Spokane in USA - sold false and fraudulent academic products to nearly 10,000 people from 131 countries in an illegal and unethical online business that saw the gang making an income of over US$7 million. It is alleged that the fake academic qualifications, which ranged from counterfeit high school diplomas, fabricated college and graduate-level academic transcripts, to 'professorships', were sold between 1999 and 2005 to 9,612 people - with the miracle money prophet Uebert Mudzanire being part of the fake degree buyers - at least according to a list published on the 28th of July 2008 by a US newspaper called the Seattle Spokesman-Review. 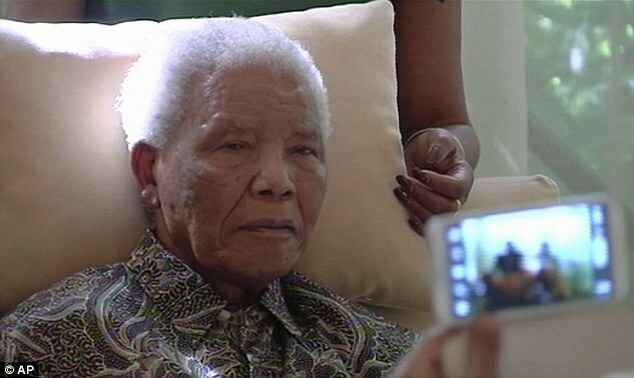 Former South African president Nelson Mandela was rushed to hospital in a 'serious' condition today following a recurrence of the lung infection that has plagued him in recent months. The 94-year-old anti-apartheid leader, whose health has been failing in recent years, has been hospitalised three times since December. Mandela was said to be in 'good spirits' but the situation was 'serious this time', a government spokesman told a South African news channel today.